A variation on the proverb is used as the title of Sarah Wilson's book First, We Make the Beast Beautiful: A New Journey Through Anxiety (Dey Street Books, April 2018). Wilson first came across the proverb while reading Kay Redfield Jamison's An Unquiet Mind. You stand out, are spotted. They fire — no warning given. persist in your "Great March"
in red and green, white and black. rising amid struggles amid smoke. Sixty times one more of you falls. you tell your mourning wives. "It's God's will." "Have faith in God." To be displaced is "Nakba." and roused again to resistance. The inspiration for this poem and some of the quoted material is "What the Gaza Protests Portend" at New York Books Daily, May 15, 2018. The phrase "still cuts the grass" refers to an Israeli strategy of tolerating a level of violence from Gaza and then re-engaging, without ever finding a solution or creating peace; in other words, maintaining the status quo. I first came across the description in a 2014 Vox article about Palestinian fatalities. Read my other poem "They Call It 'A Great Day'." I still don't know what dogs know. Read more Chase Twichell poems. Today's short is a trailer for Roshi Joan Halifax's new book Standing at the Edge: Finding Freedom Where Fear and Courage Meet (Flatiron Books, May 2018). I am delighted to present the work of painter Carola Schapals in today's new Artist Watch column at the international online arts magazine Escape Into Life. Currently a resident of Bremen, Germany, Carola, who holds a master's degree, exhibits widely in Germany as well as The Netherlands and in Spain. She has received many awards, including an artist residency at Vincent van Gogh's birthplace in Zundert, The Netherlands. 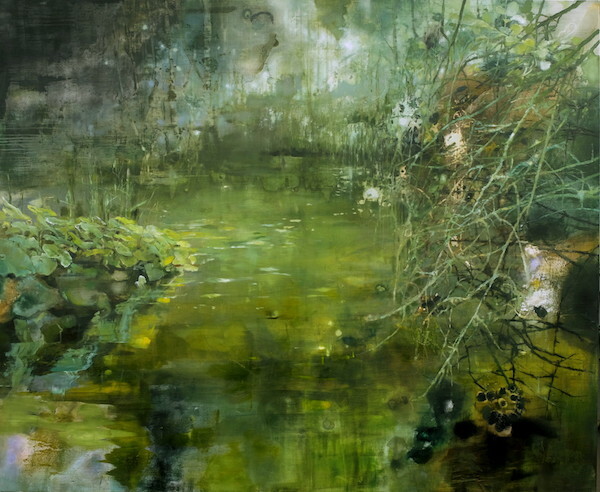 In addition, she is represented in numerous private and public art collections. Today's Artist Watch features images of eight of Carola's beautifully painted canvases, an Artist Statement, and a brief biography. before his stone can find a mark. to return the sniper's serve. these thousands of sources of injury. one of them even risks a selfie. * Benjamin Netanyahu at the dedication of the U.S. Embassy in Jerusalem and the protests in Gaza. What happens at eye level gets its start in the depths. Today's short is the beautifully conceived and produced Ama, by Julie Gautier of Les films engloutis. Silent except for the accompanying music, "Rain in your black eyes" by Ezio Boss, the film was choreographed by Ophelie Longquet and edited by Jerome Lozano. 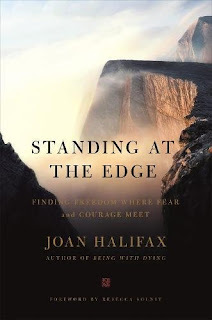 It premiered in March 2018 at International Women's Day events. Gautier's notes about the short indicate that its story is one that "everyone can interpret in [his or her] own way"; it is dedicated to "all the women of the world." Gautier is a French film director and an underwater cinematographer who holds a French record in free diving. Her collaborator and partner is Guillaume Nery, the world champion in free diving. Gautier and Nery co-directed the Beyonce music video Runnin. do we have a chance of seeing the truth. Today's short, Two Hands, from Crazy Boat Pictures is a documentary about American concert pianist Leon Fleisher and his extraordinary efforts to regain a sense of purpose in life after losing the use of his right hand to the neurological condition known as focal dystonia while at the height of his career. Today, Fleisher, whose ability to perform with two hands returned in the mid-1990s, teaches at the Peabody Institute of The Johns Hopkins University, Baltimore, Maryland, and performs, conducts, and holds master classes throughout the world. Leon Fleisher - Two Hands from Thomas Duperre on Vimeo. and resistance to the overly easily and the patently false. 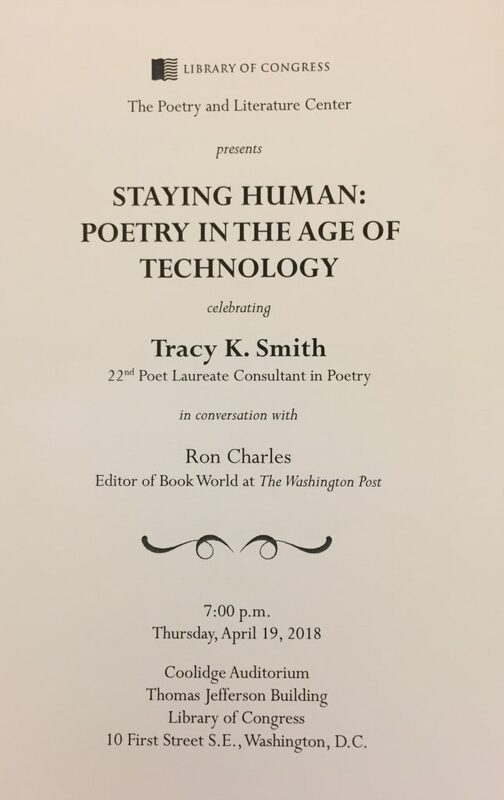 reanimating version of language. . . .
Our national Poet Laureate Tracy K. Smith, now in her second term, discussed her first term with The Washington Post's Book World editor Ron Charles on April 19, 2018, following her address "Staying Human: Poetry in the Age of Technology". 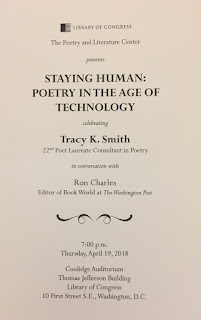 Below you'll find a portion of the interview, which includes Smith's readings of poems by Laura Kasischke and John Yau. For the complete recording, check the Library of Congress Website.